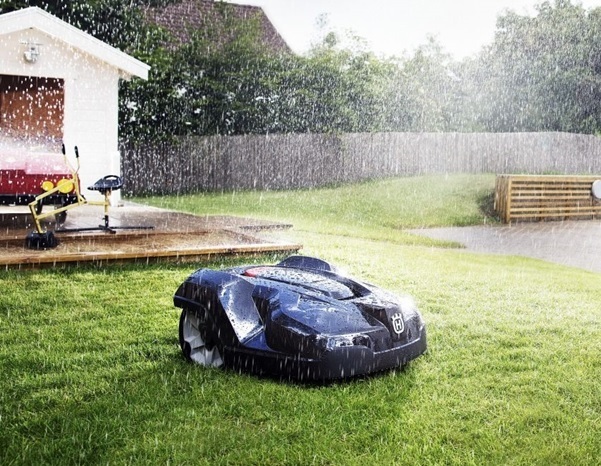 Husqvarna automowers offer the ultimate in gardening convenience and efficiency. What can be smarter than a robotic lawnmower that works all by itself? Almost silent and fed on just electricity. This is what you get when you buy a Husqvarna Automower. Automower mows your lawn in random patterns, cutting the grass frequently, while the small clippings return to the lawn, to form fertilizer. Each automower requires an initial set up and installation. Prices vary according to the plot size (but an approximate guide is £300). An electronic boundary keeps Automower™ where you want and it recharges itself when needed. As they move around your lawn Husqvarna automowers will automatically detect any obstacles and move around them, without causing any damage. And for additional safety, they will automatically switch themselves off if they are tilted or picked up. All models include timer functions, allowing you to control how many hours per day you want it to run. Just switch on Automower™, relax and enjoy. Our Husqvarna automowers are available in all of our stores, in the counties of Suffolk, Norfolk, Essex, Cambridgeshire, Kent, East Sussex, West Sussex, Surrey and Hertfordshire.